In 1979, Raymond Mossoux, engineer at SABENA, designed an ultralight glider using the tandem wings formula of Henri Mignet. This small glider, very light (28 kg) could be carried by hand if you wanted to take off by running, landing being made on a skid. 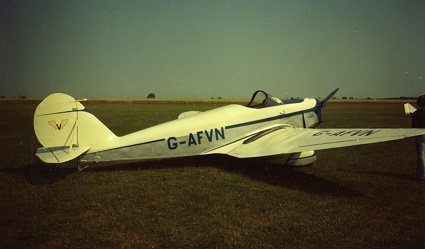 After several flights in glider configuration, towed by a car, a Mc Cullogh single cylinder 2 stroke, 95 cm3 (9 hp at 7,000 rev / min) engine was fitted on a pylon placed behind the pilot and between the wings. The design is then slightly modified when a 2 cylinders JCV engine of 20hp specially developed for the Butterfly is installed. A small batch of Butterfly II is built by SABENA and the R.T.B.F. (national Radio Television) is contacted to sponsor the participation of the Butterfly in the London-Paris ultralight race of 1982, the first crossing of the Channel by an Ultralight aircraft. They gave their agreement, provided that the pilot of the machine is René Thierry, reporter at the RTBF. The Butterfly took second place! A lot of interest was gained thanks to this success and the Butterfly Co is set up. 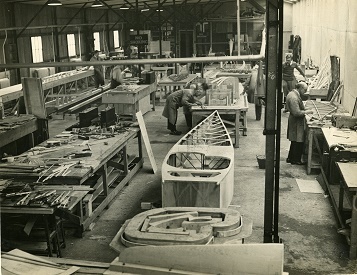 Then the “Brugeoise et Nivelles” (BN), who wanted to diversify its activities, created an aeronautical section called Ultralight Aeronautic to produce the Butterfly III.